At Chilliwack Volkswagen, our highly qualified technicians are here to provide exceptional service in a timely manner. From oil changes to transmission replacements, we are dedicated to maintaining top tier customer service, for both new and pre-owned car buyers! Allow our staff to demonstrate our commitment to excellence. Our Technicians are all factory trained and continually have their skills upgraded to keep pace with rapidly changing technology. 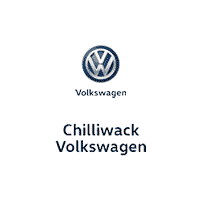 Chilliwack VW’s Technicians are certified by the province and have over 300 years of combined experience working on vehicles like yours. We offer shuttle service to get you where you need to be while we work on your vehicle. We will wash and vacuum your car after it has been serviced. You can drop off your car 24 hours a day so it can be serviced. After hours, there is a drop off box in front of the dealership where you can drop your keys. We offer extended hours for pick up: you can pick up your vehicle Monday to Thursday until 6:30 pm, Fridays until 5:30 pm, Saturdays from 9-5 and Sundays from 12-5.